Growing demand for the convenience food and rise in premium products consumption are expected to witness the growth of the food emulsifiers market. Furthermore, new applications and benefits of emulsifiers, increase in demand for natural sources of food ingredients, growing demand for the trans-fat and low-fat products, technological advancements in the food emulsifiers are fuel the food emulsifiers market globally. 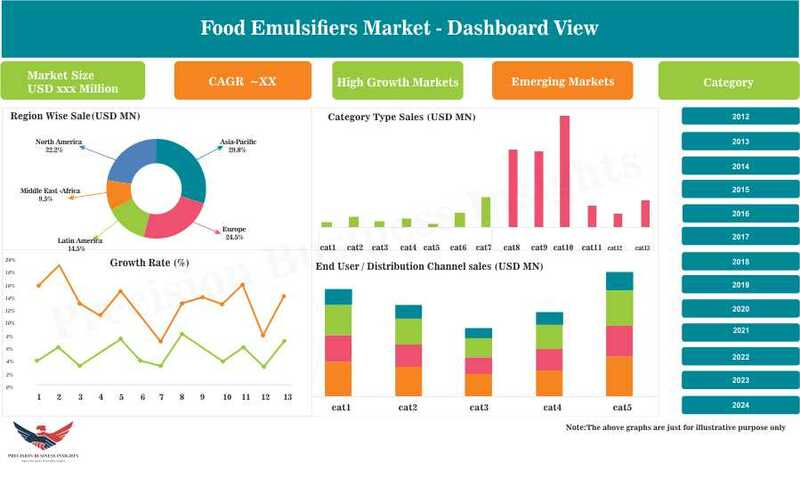 However, high competition from the substitutes and alternatives and lack awareness regarding E-numbers among the consumers are the few restraints which are hindering the growth of the food emulsifiers market. An emulsifier is a substance, which contains hydrophilic tail and hydrophobic head. in which hydrophilic tail is water friendly and hydrophobic head is oil friendly. These are used to combine the oil and water substances to make an emulsion, called emulsification. Foods emulsifiers enable stabilize the emulsions by attaching to the ‘interface’ and link the repelling substances water and oil. The Global Food Emulsifiers Market is classified on the basis of product, origin, application, form and geographical regions. 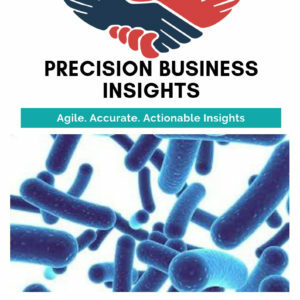 A surge in the in-house R&D for development of innovative products is the major driving force of feed emulsifiers market. Growing urbanization, dramatic change in lifestyle and the increasing middle-class population is expected to create demand for baked and ready to use products. Rising awareness regarding convenient products that enables promote health and wellness, social transformation, shifting demographics, rising per capita expenditure is predicted to foster Food Emulsifiers Market. Inclination towards ready to eat products and low-fat food further enhance the demand. Market players focused on growth strategies like new product launches, mergers and acquisitions. In December 2016, Cargill launched the new range of plant-based emulsifiers made up of lecithin from sunflower, canola and soy in order to expand its product portfolio. Geographically Food Emulsifiers Market is segmented as Latin America, North America, Asia- Pacific, The Middle East & Africa and Europe. North America is the dominating market in global food emulsifiers market, especially U.S is one of the major consumers for the emulsifying products due to rise in adoption of ready to cook meals because of the busy lifestyle. Consumers in matured markets are inclined towards natural products due to advantages. Market players are translating demand into natural products. 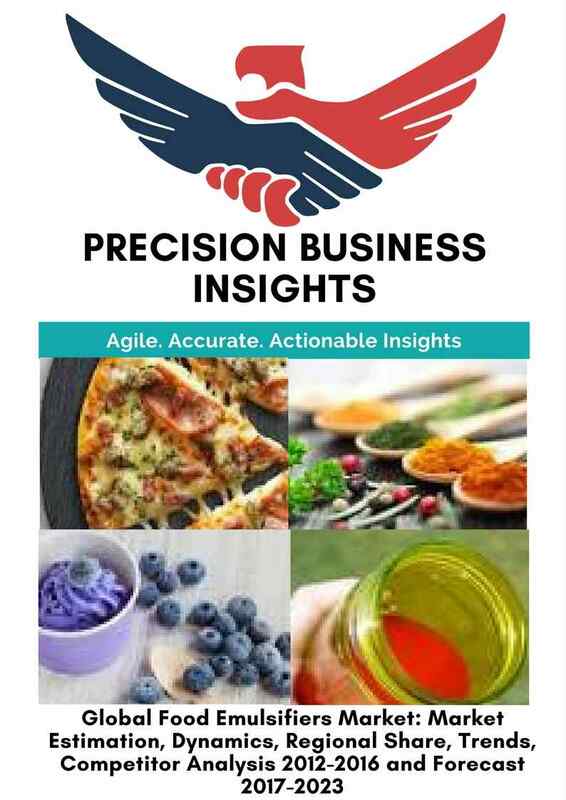 Europe accounts for a major share in the global food emulsifiers market due to the strict environmental regulations, increase in clean label product trends, and high consumption of confectionary and dairy products. Emerging countries witnessed tremendous growth owing to burgeoning middle-class population, increased economic status and adoption of packaged food and beverages. 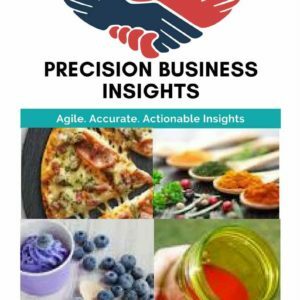 Some of the players in Food Emulsifiers Market are Ingredion Incorporated (U.S.), Dupont (U.S.), Cargill (U.S.), Corbion NV (The Netherlands), Kerry Group Plc. (Ireland), Riken Vitamin Co. Ltd. (Japan), Palsgaard A/S (U.S.), Lonza Group Ltd. (Switzerland), Beldem S.A. (Belgium), Archer Daniels Midland Company (U.S.) to name some few. In 2016 May, Ingevity launched globally its new EnvaMulTM emulsifier which is based on the chemistry of fatty acid.